The bathroom may be the smallest room in your home but this doesn’t mean that you can’t create a space that’s super organised and stylish. If you are frequently finding that you are running out of space throughout your home then it might be wise to look at getting a storage space from somewhere like keepsafe storage. Nonetheless, there are more storage solutions for compact bathrooms than ever before, so there’s no excuse for your bathroom to be full of clutter and junk! Wall-mounted vanity units are clever in more ways than one. They provide a smart and practical way to keep toiletries and your favourite beauty products hidden away yet easily accessible, plus, they create the illusion of a bigger bathroom – genius! 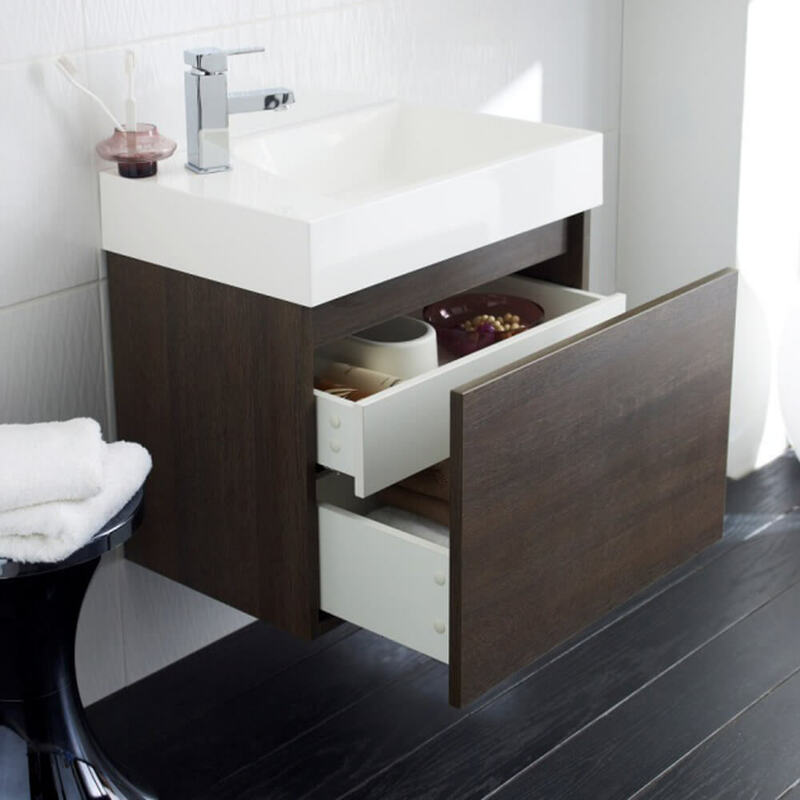 Visit Bathrooms and More Store in the UK where they have a wide range vanity units in an array of sizes, designs and finishes to enhance any style of bathroom. Choose one with soft close drawers or doors to prevent those accidental and annoying bangs and slams. In a tiny bathroom it’s a good idea to make use of wall space by fitting a mirrored cabinet. Usually fitted above the basin, a mirrored cabinet combines a mirror and storage into one space saving unit. They come in various designs, and are great for hiding daily essentials such as toothbrushes, floss, toothpaste, deodorant and moisturiser. Wicker baskets add a rustic touch to the bathroom and are inexpensive, which is always a bonus! They are perfect for storing towels and toilet roll, and are ideal for warming up pale decor. Place your wicker basket underneath the basin or vanity unit. Small wicker baskets can be used to organise make-up or toiletries. 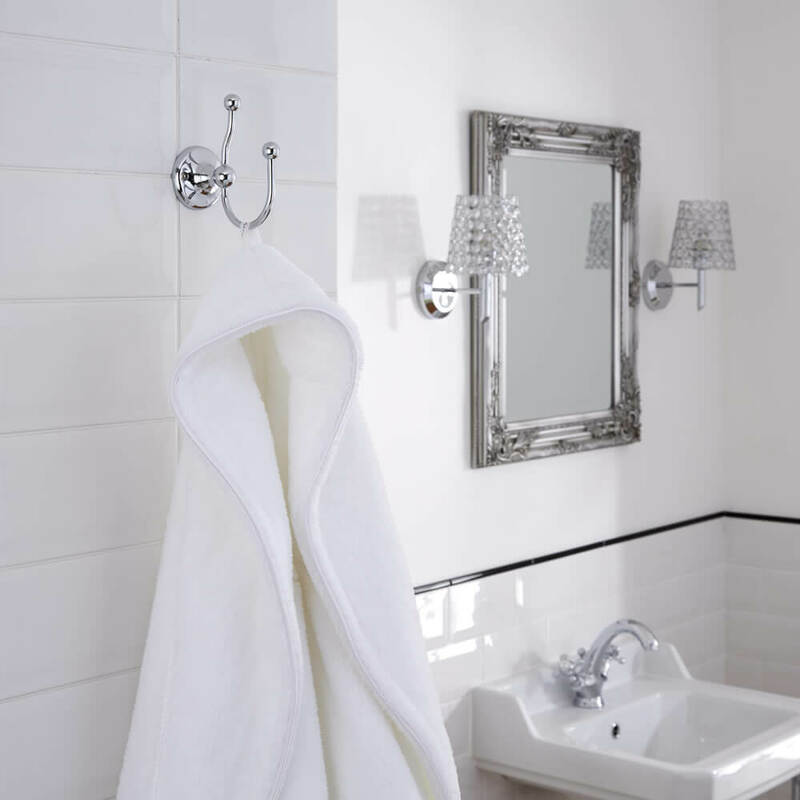 Robe hooks, towel rails and shelves are so simple, yet so effective. Providing essential and accessible storage for towels and dressing gowns, they can be positioned almost anywhere around your bathroom. Shelving can be used to organise perfumes and luxurious toiletries that are just too nice to keep hidden away, as well as candles and flowers. You could even fit a super high shelf above the door to store bathroom items or create a decorative display to add extra interest to the space. Shower baskets and soap baskets offer a fantastic solution too. They keep your showering essentials, such as shampoo, shower gel and soap, neat and tidy, so they aren’t cluttering up the shower tray or the edges of your bath. A clever way to incorporate storage into a small bathroom is to make use of the dead space within the supporting structure of a bath. If you’re handy at DIY, you could make a hinged panel that features slim compartments, which can be used to store bath toys, cleaning products, face cloths or spare soaps. If you’ve ever tried to reach for that tiny bottle of nail polish that’s right at the back of a cluttered cupboard, you’ll know how annoying it can be! So, why not build in some pull-out shelves into a narrow space so that small items are easy to grab? This is a great solution for a bathroom with limited space, and since most essentials are fairly small, pull-out shelves create just the right amount of storage. You may have seen this type of storage in kitchens, but there’s no reason why it can’t be used in the bathroom too. Bulky storage can easily overpower a small bathroom, so if budget allows, get one of the walls re-framed and incorporate recess shelving. A recess shelf, in the shower or above the bath, can hold bathing or showering toiletries without encroaching on the space within your bathroom. It’s a smart and practical way to increase your bathroom’s storage capacity without making the room feel cramped. For extra wow factor and to create an attractive focal point, install spotlights. So as you can see, with a little imagination and planning, there’s actually some clever ways that you can add storage space to a tiny bathroom. It’s also really important to keep a bathroom clean, so you could use an apartment cleaning service.